These last few days have been filled with emotions. 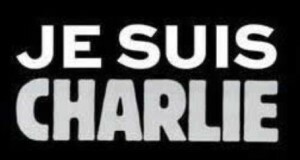 France and the freedom of speech were brutally attacked by a few mad men. Men that had been totally brainwashed in to imagining that their actions were in the name of their God. We all have a God, I was brought up a Catholic, to respect and love and foremost love others. And our fellow brothers Jews, Muslim, Budhist and so many other have their God that they respect Love and who teaches them peace and love others. We saw yesterday that humbly EVERYONE can unite to bring peace and love in the face of tragedy. Can this be the beginning of a new unity in France? I so wish. In 2002 I was savagely car-jacked by two individuals. I fought and saved myself and my car, I was supported by the Police that caught one of the guys at the moment: a 17yrs kid, wearing a hoodie, of arab origin. SO naturally I became frightened whenever I saw a Arab youngster wearing a hoodie. I tried not to be racists and consider all young Arab men as “rascals” but it was difficult. I wanted to confront the person and ask him why, however my inner fear did not allow me and my entourage convinced me that it was not a good thing. But yesterday, while watching all thoses people in Paris I wonder if he was amongst them? Can this terrible incident make the people unite and bring out the best of them? I sincerely hope so. I imagine the word HOPE enter the minds of all and let them see that one can make a difference in this world with small actions. If each individual, that was on the street yesterday, makes a small gesture to improve their lives and those around them with love and sharing, the WE rather than the I, we will live in a better place. So let the best of Charlie remain forever.